Didn’t notice the lens was steamed from being in my jersey pocket, but got the shot before the wind blew the bike over and into my waiting hands. Now call this filter, “stark sweaty.” This is the first set of Rovals I’ve really liked and because of that treated them badly by riding hard over a lava field. They survived and what a great ride that was. Ridden in trees, mountains, deserts, all kind of climates, but something about a lava flow is deeply primal and a stark reminder that your time here is limited. 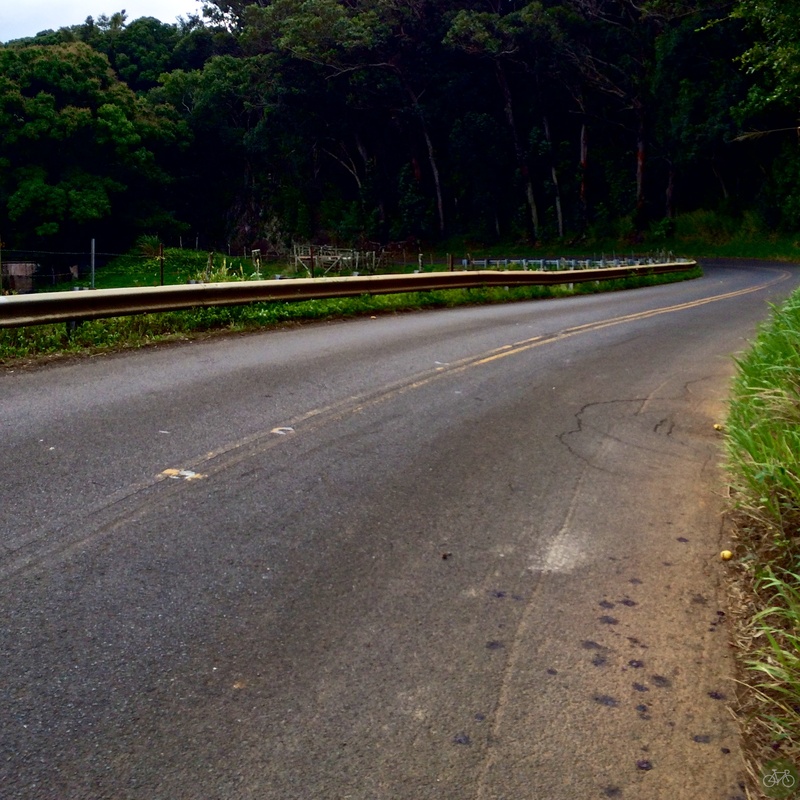 Yesterday we rode to the Twin Falls Fruit Stand, near Haiku, and our favorite place to ride in Maui. It’s where the bridges are one lane, you don’t see many cars, and the roads are twisty. In 14, we’ll ride even more interesting places and share what we saw with you. 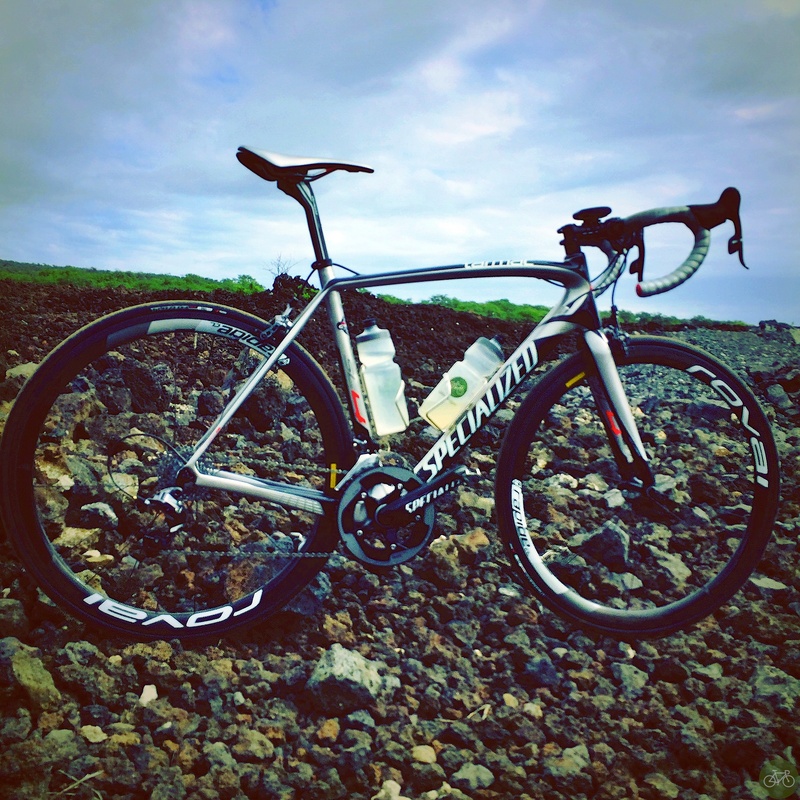 Happy New Year and we hope you have a good ride today.